From a young age, I have felt inspired to support people in their path of healing and empowerment. I feel grateful to be able to serve in helping people find strength and balance in their lives, because I believe the healing of humanity at large starts with self-reflection and our relationships with others. Yoga and massage have been in my DNA since I was a little girl - I would join my mother in her morning yoga practices, and in our family we would take turns giving our mother a massage as a form of care and compassion. After college, I became intrigued by the practice of yoga again, starting with the physical practice, but especially because of the cathartic release it provides on so many levels. My love of yoga inspired my initial 200 hour Ashtanga based teaching certification in 2009 with Greenpath Yoga (directed by Clayton Horton), which led to the opportunity to assist future trainings at the Yoga Society of San Francisco Brahmananda Ashram. I ventured to a jungle beach town in Nosara, Costa Rica to study at the Nosara Yoga Institute® (founded by Don and Amba Stapleton) for 500+ hours of certification including becoming a Pranassage Practitioner® (yoga massage) and Prenatal Yoga Teacher. I returned to Nosara seasonally for 3 years to teach and assist trainings at NYI. I also studied with Paul and Suzee Grilley for 200 hours of Yin Yoga teacher training at the Land of the Medicine Buddha in Soquel, CA. I believe in respecting the roots and disciplines of our yoga practices, while also making yoga accessible to all, through different levels and styles, by being honest with how we genuinely feel in the moment, and practicing mindfully with strength and grace. My expanding interest for the healing arts and being "hands-on" inspired me to study Massage Therapy at Hawaii Healing Arts College to become a Certified Massage Therapist (CMT). 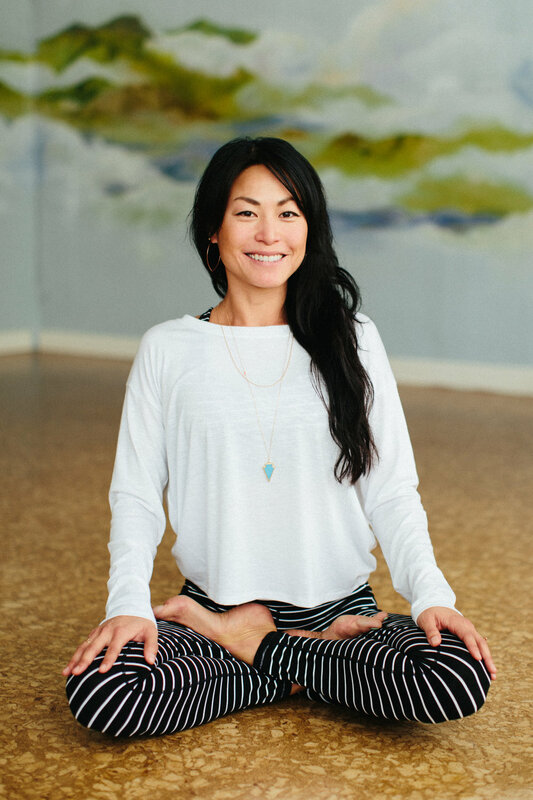 I am happy to be a part of the team of holistic therapists at SenSpa in San Francisco as well as working with private clients, and the practice of bodywork continues to prove how there is truly a connection between body and mind. My ever-growing respect for the fascinating inquiry into birth and motherhood not only inspired me to teach Prenatal Yoga (certified by Blooma) but also to become a Doula (certified by MaternityWise). I have assisted births in Hawaii and San Francisco, and feel honored to continue supporting Mamas around me. The intuition and innate strength of mothers never cease to amaze me. I believe that yoga, massage, and birth support go hand in hand, all inspiring to be present in the moment. Through all dimensions of Being, whether in body, mind or soul, I am grateful for the opportunity to learn, guide, and connect with you. "Lokah Samastah Sukhino Bhavantu". May All Beings Everywhere Be Happy and Free.